Higher-protein diets continue to be on trend. Traditionally when protein comes to mind, we often think meat, fish, eggs and dairy. However, taking stock of plant-based proteins is a great way to add more protein, and protein diversity to your menu. A plant-based diet is associated with a lower risk of heart disease, diabetes and healthier weight. 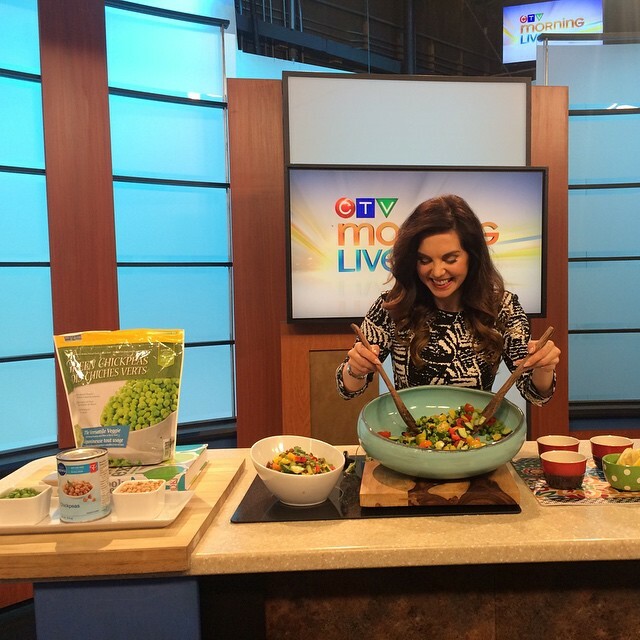 We had a great time with the CTV Edmonton Morning Live crew expanding the protein pantry recently. I’ve talked about chia seeds, hemp seeds and pumpkin seeds before – mainly for their healthy fat. But, “super-seeds” are also a great source of protein. Added to your favourite hot cereal, shake, salad or baked good – you’re adding not only healthy fat and fiber, but protein. For example, ¼ cup pumpkin seeds pack 10 grams of protein. They’re also an excellent source of magnesium and iron. Chia seeds and hemp seeds are also great options. My second staple is growing in popularity – it’s ancient grains. Certain ancient grains are particularly high in protein, quinoa being the most common and popular. More and more I’m starting to see products with teff, amaranth, millet and sorghum in local stores. The variety is exciting. 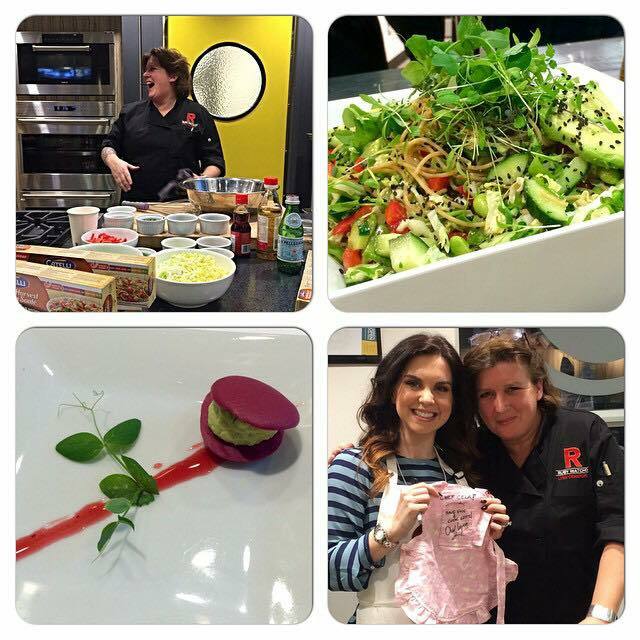 I recently had the pleasure to meet and enjoy the culinary genius and personality of Chef Lynn Crawford. Needless to say it was an amazing experience. Chef Lynn was in Edmonton to help launch the new, all natural Catelli® Healthy Harvest® Ancient Grains pasta, a first-of-its-kind product that is making its debut on Western Canadian store shelves. Catelli® Healthy Harvest® Ancient Grains pasta blends 100 per cent Canadian whole wheat with five wholesome ancient grains: quinoa, teff, amaranth, millet and sorghum. Teff: Originating in Ethiopia and Eritrea between 4,000 BCE and 1,000 BCE, this poppy seed-sized grain is high inprotein, fibre, calcium, thiamin and iron. Millet: Cultivated 4,000 years ago from wild West African grass, this nutty-flavoured grain is known to be hearthealthy, containing a high level of protein, magnesium and niacin. Alkalizing to the body, millet is considered one of the most digestible and non-allergenic grains available. Choosing high-protein grains like the ones listed above may help you feel fuller longer and help control blood sugar – because protein helps slow digestion. For recipes ideas, featuring Catelli® Healthy Harvest® Ancient Grains click here. Give them a try! My current favourite staple of the “protein pantry” is pulses: beans, peas, lentils and chickpeas. I am enjoying green chickpeas at the moment as well as lentil or bean pastas, protein powder and even protein chips. For recipe ideas, featuring pulses click here.